Are you waiting worriedly about the next SSC CGL, SSC CPO, SSC MTS, SSC JE exam? SSC has released SSC Exam Calendar for the year 2018-19. 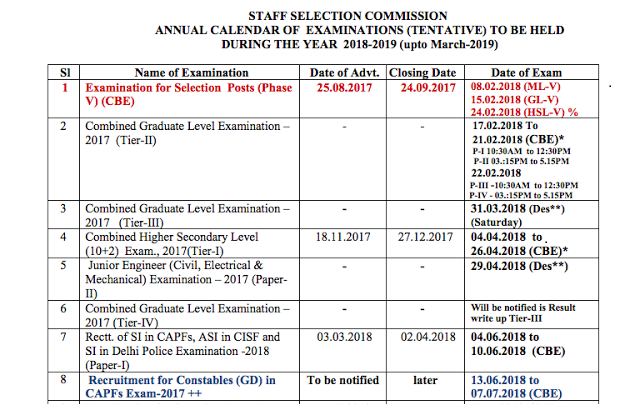 SSC has published a pdf file with tentative exam schedule for SSC exams with notification date, application dates & exam date.